Experience some of the biggest air and tricks seen in an action sports video game. 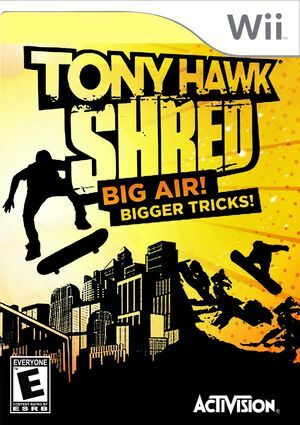 Tony Hawk: Shred's motion sensing skateboard/snowboard allows players to control the action with their feet to perform amazing tricks in the game. Using the board as a skateboard, clear huge gaps, hit massive drops, and ride out roller coaster grinds. Using the board as a snowboard, speed down mountain peaks filled with breathtaking big airs, crazy spins and incredible flips. The game's intuitive controls and multiple difficulty levels make it easy to pick up and play. This game requires the Ride Skateboard. It can be connected to Dolphin the in same manner as the Native GameCube Controller Adapter. Once connected, the game works normally. The graph below charts the compatibility with Tony Hawk Shred since Dolphin's 2.0 release, listing revisions only where a compatibility change occurred. This page was last edited on 13 January 2018, at 15:09.